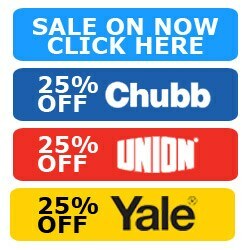 The Union 22931, 22932, 22933, 22934 Panel Locks are suitable for metal casement doors and steel gates. 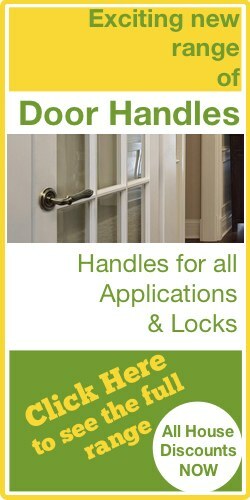 These Locks are handed so ensure you choose the correct handing using the diagram. 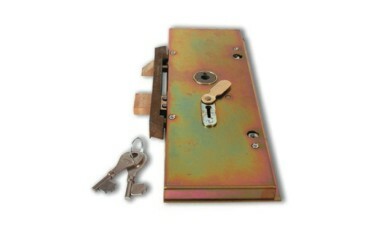 Latchbolt is withdrawn by lever handle either side, deadbolt is locked or unlocked by key from either side. Hi guys. My name is Darrel and I'm head of the tech team here at LocksOnline.co.uk. Thanks for taking some time to tune in and have a look at one of our product review videos. The product that we have here today is a Union. It's a panel lock. 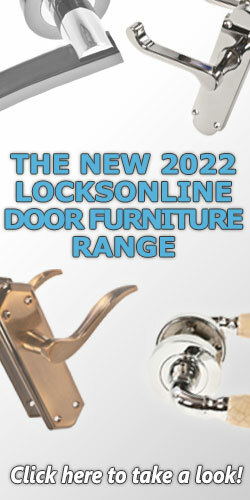 It's the 22934 panel lock. Here's the guy here in all its glory. 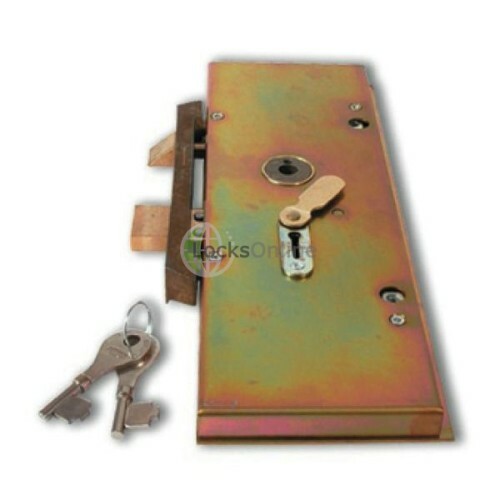 What this particular lock is used for is in the old type metal doors that you might be familiar with. They're starting to get a bit of a comeback now, but they were around after the war etc.. They were being manufactured out of metal and they went through the '40s, '50s and '60s etc., into the '70s. They were very popular at their time. This is the actual panel lock that's designed to be replacing those. They take a very small key. You might notice the key. You might have seen these keys around at one time or another. Of course, because the door is only near enough as thick as this, it's a little bit thicker with the plates on it etc. It's only as thick as that anyway so you don't necessarily need to have a long key. That's one of the unique advantages of this type of key. It's quite dainty to carry around with you, so that's no fun at all. Also, if you happen to lose the keys on this particular type of lock, they do have the key number actually on the actual stump there as you can see. You can actually get keys for these. Of course, this will be in the inside not the outside for obvious reasons. 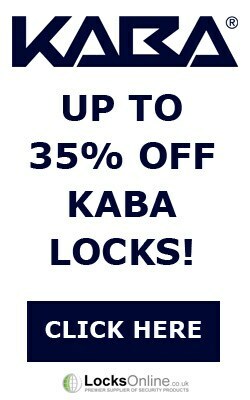 What you'll also find as well is that this particular lock supplied with us comes with its keep as well as you can see there. It comes with all that. What I'm going to do now is get some measurements for you and therefore give you some sort of idea that if you think yes, that's what I want, the chances are they'll be all painted over these days. They'll probably be all painted white or all painted black over the years. You might not necessarily see it in this finish anymore. To give you some sort of idea of its overall length there, that there is just a smidgen about 285mm. The size of it there is 92mm. There's a little plate that sits at the back there and that makes that overall 100mm. Now the backset there, that's from the faceplate to the centre of where the handles would go into, that is just about 58-59mm. You need to have special handles If you're trying to replace one of these, then you need to be careful with the handles to get the handles off to get it to back working with this particular type of lock. There you go guys. One thing you need to be mindful of as well is that they are handed. You need to check to make sure whether you need a left-hand or a right-handed lock depending on what your application is. I don't think that there's much more that I can say about this other than they're part of our heritage in the UK where we've got all the steel crittal type windows and doors etc. They are very popular. Of course a lot of them have been destroyed now and been ripped out now for UPVC and plastic windows etc., but there's still big industrial areas in London and so forth that are rejuvenating all this type of crittal type metal windows in character with the building. They're starting to have a bit more popularity with respect to that. If you need a bit more information or you want a bit more advice, pop us over a phone call. We'd love to hear from you. Use the live chat on our website. That's free and you can either talk to me or any of the guys here in the sales or the tech team. More importantly, we'd love to see you as a customer. From me, Darrel and all of us here at the LocksOnline team, great for you tuning in and catch up with you real soon. Take care now. Bye-bye.